Installation of 400 Philips Colour LED strips including Pharos controller at the roundabout in front of Grand Lisboa. Includes interface with existing AMX touchscreen controller. Industrial Rope access techniques used to access structure. Testing and commissioning of control systems included. 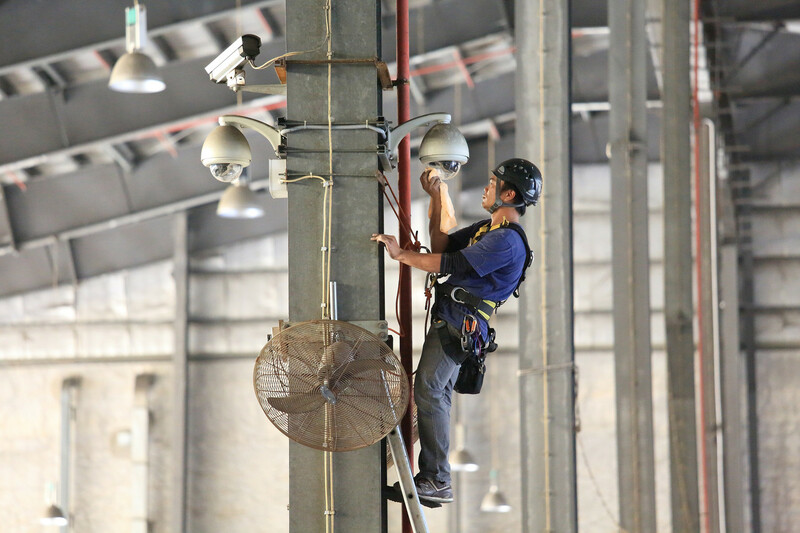 CCTV power patching works with Vodatel. 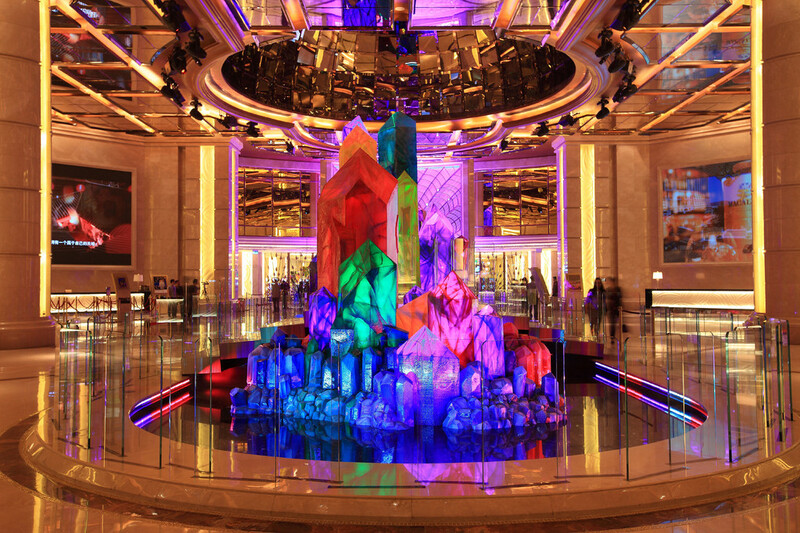 Installation of mechanical, electrical and control systems for Crystal Pool and Diamond specialist features with Entertainment Design Corporation. Installation of electrical systems and fiber optic network for lighting controls and lasers with Ptarmigan Consulting. Installation of theatrical lighting and control systems at House of Dancing Water with White Light. Installation at height of lighting and controls at Bubble feature.